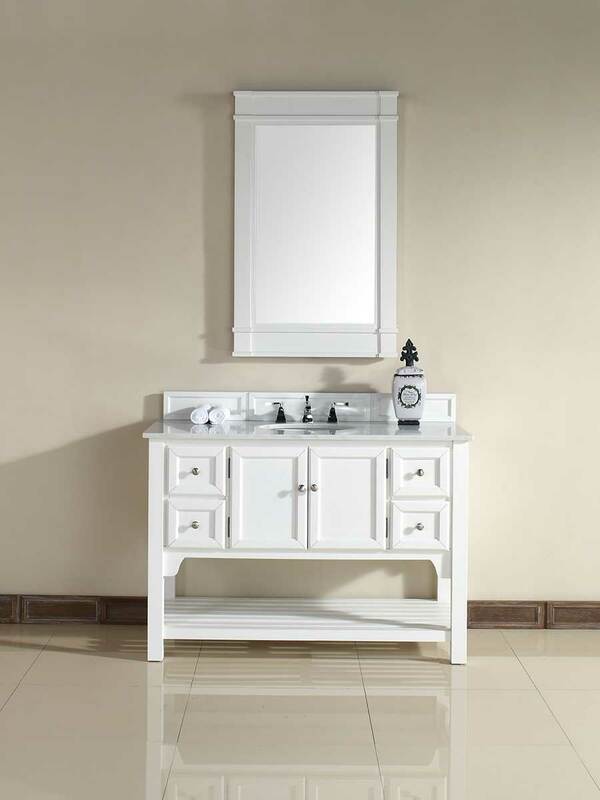 Give your bathroom a clean, crisp feel that's modern, yet sophisticated with the 48" South Hampton Single Bath Vanity in Pure White. 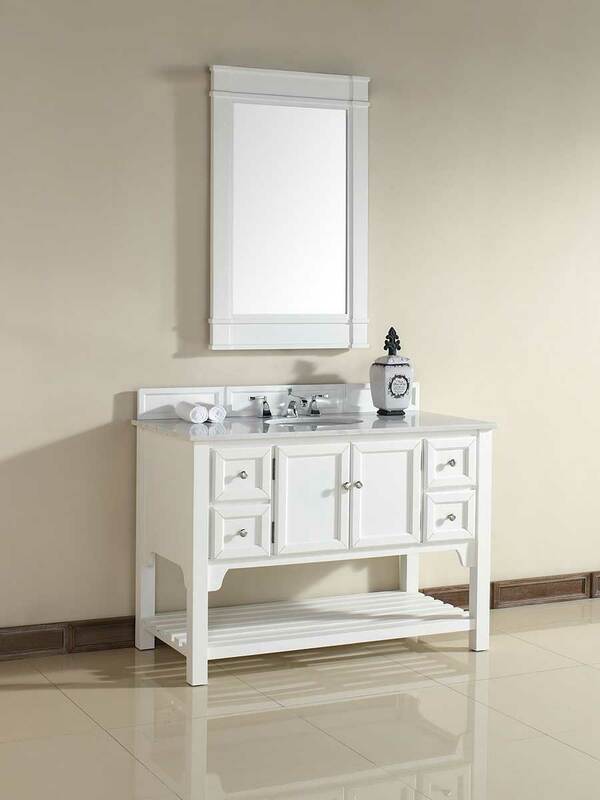 Featuring a solid poplar cabinet with a beautiful Pure White finish, this vanity is sure to give your bathroom an entirely new look. Satin Nickel finished hardware give each of the double-door cabinet doors and four fully functional drawers an attractive appeal. Each drawer is equipped with 45 mm fully-extendable, side-mounted, soft-closing drawer slides and each of the doors are equipped with 110 degree soft-closing hinges. The top is made of Guangxi White marble with an undermount ceramic sink. 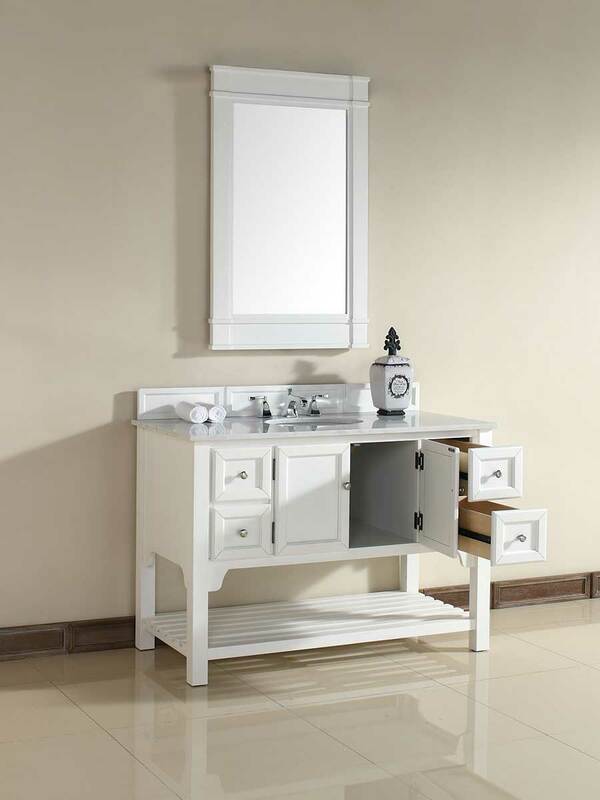 To give the South Hampton a truly beautiful appeal, this vanity also comes with a matching stone backsplash.